Shaniah is was one of my Class of 2018 Model Team Reps, and after a little hiatus over early winter, it was so nice to get back out and shoot more of this gorgeous girl! I've been taking some of my girls out for small impromptu shoots to try some different poses, editing, lighting, settings, etc. It's important to me to grow not only as a business, but an artist as well. After a little navigation mishap, we were scrambling to find a new spot and ended up at this location. Accidents happen for a reason, people, because this was such an amazing place to test! 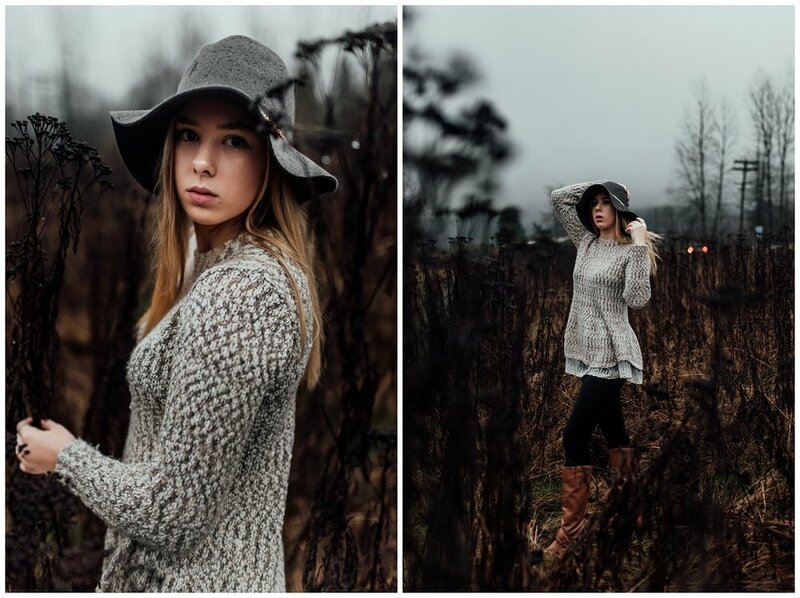 With rain, mist, fog and our crazy start, we made out with some really amazing moody photos. These are definitely darker than my normal work, but I'm loving these deep tones and the glimpse of glittery headlights through the grass. I'm so grateful for my girl for volunteering to sit on the wet ground, braving the rain and making no fuss about it!